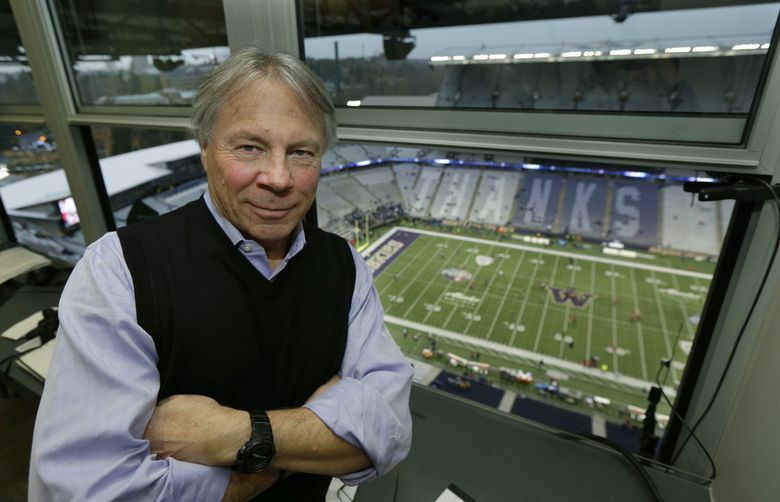 Watch the Washington's tribute video to longtime announcer Bob Rondeau. Before the game, UW gave away 10,000 bobbleheads featuring Rondeau's likeness and a recording of his signature call, "Touchdown, Washington." A sold-out Husky Stadium gave the Huskies’ iconic play-by-play voice a fitting farewell. During a break between the first and second quarters, a video tribute to Bob Rondeau was aired on the Husky Stadium videoboard, recognizing his 37 years as the Voice of the Huskies. Fans in the lower level in nine sections of the north stands then held up cards that spelled out “Thanks Bob” after the video tribute ended. The crowd then gave him a standing ovation. This was Rondeau’s last game broadcasting from Husky Stadium. He’s retiring after the Huskies’ bowl game. Rondeau was honored last year by the National Football Foundation with the Chris Schenkel Award for distinguished careers broadcasting college football.